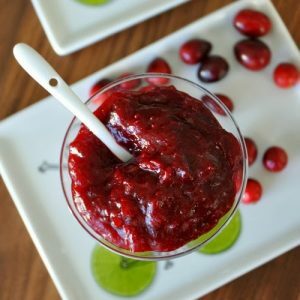 This speedy stovetop cranberry sauce is ready in 10 minutes! Your holiday meal prep just got a whole lot easier. And tastier! 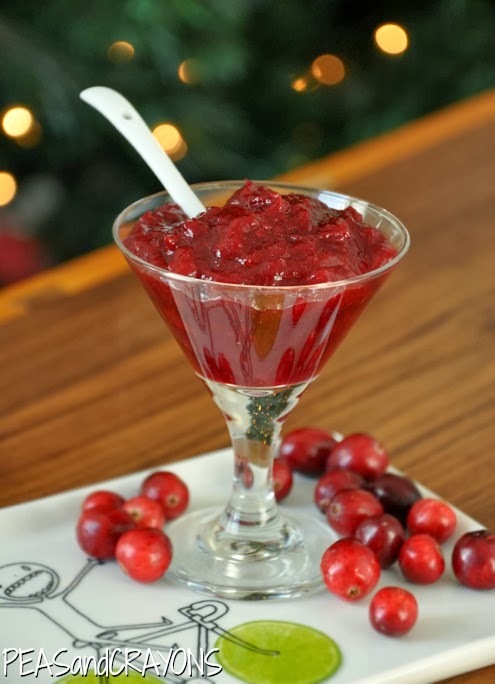 I whipped up this zesty lime infused cranberry sauce to pair with dessert (cheesecake… yum!) and just had to share the recipe. It’s basically Fall’s equivalent of a summery cherry limeade. Because life’s more fun when you get a little saucy. I have a thing for adjectives. Need a little less? 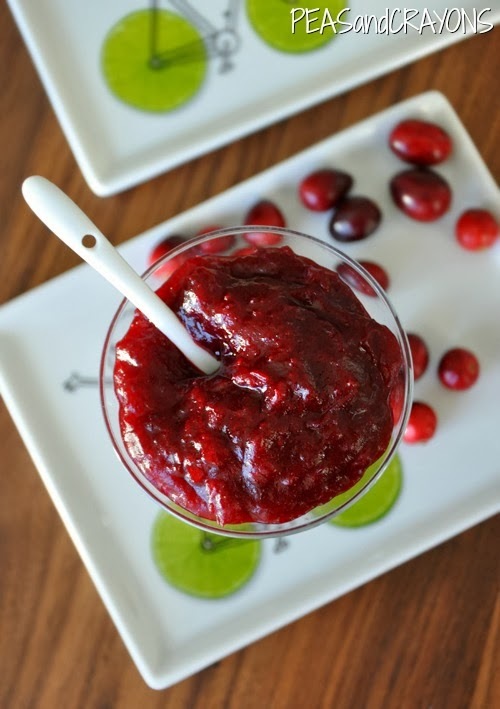 This recipe is crazy easy to cut in half for just a cup of homemade cranberry sauce. Heat a small sauce pot to medium-high heat and add your berries, juice, zest and honey. Cover and stir occasionally for up to five minutes. My sauce was literally done in three. Stir in brown sugar and mash any berries that were too stubborn to burst with a spoon/fork. Stir a bit more as the sauce thickens and remove from heat. For an extra smooth sauce, puree in a blender or food processor. I don’t do this with my other sauces [I typically keep it nice and rustic!] but I pureed this one and loved it! If you’re making the larger batch of sauce it may take just a few extra minutes to cook but it’s well worth it! Oh hi, that’s it. Easiest recipe ever! All that’s left to do is pour this on everything in sight! No room on your stove top this Thanksgiving? Whip up this [crockpot sauce] instead! I would totally pour it on the bubbly baked brie. Delicious. Awww yay!!!!! Thanks love! So glad you liked it!!! 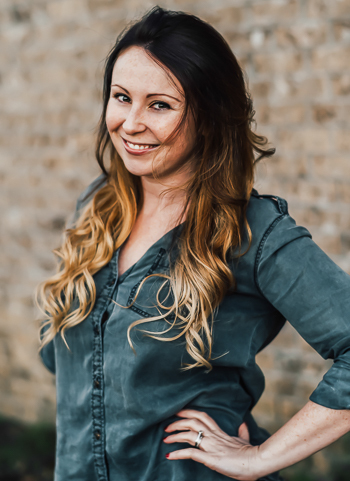 My family grew up on the sketchy canned stuff and once I realized how easy it was to make I’ve never loooked back either! <3 Happy Thanksgiving!!! A nice twist on the even more basic recipe on the cranberry package– definitely a bit of an upgrade, yet still easy. Haha! Love the little plug for your crockpot recipe! And I swear, only YOU can make a glass full of red gloop look so amazingly delicious! GORGEOUS! Winterized cherry limeade? Don’t mind if I dooooooo! I low how simple this is. I’m obsessed with cranberry sauce on Greek yogurt and on oatmeal with PB—so freaking good. This looks great and perfect timing, thanks! This will be perfect to whip up tomorrow!